Model HD-RLC The HD-RLC remotely controls the bass level of the following JL Audio amplifiers: When the HD-RLC is connected to the above amplifiers, it acts as an attenuator on the input gain of the amplifier and is used to adjust the overall level of the amplifier from the front of the vehicle. 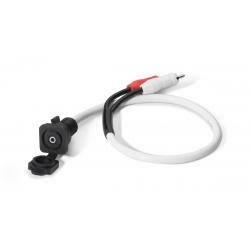 The HD-RLC kit includes the rotary control with a black ABS knob, mounting hardware and one 18 ft. (5.5 m) cable. 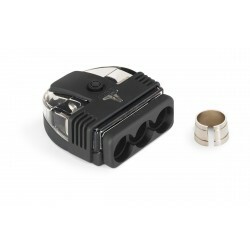 Model XD-BTS Ultra-compact universal battery connector, positive or negative The tiny size of the XD-BTS battery connector makes it easy for tight-space installations, and ideal for smaller systems that require a single main power wire for the audio system. 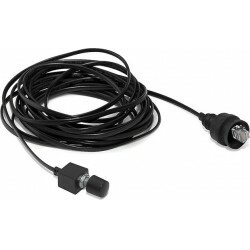 OmniSert&trade; technology ensures secure, high-integrity wire contact in the captured-wire connector for any wire from 10 AWG - 4 AWG. 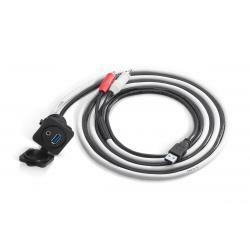 An additional side-mounted power ring provision allows you to connect factory harnesses or an additional power wire, if needed. 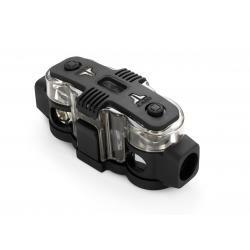 The included adaptor collar allows it to be used for negative or positive battery post connections, where the secure clamping design ensures a tight fit to the battery post. Red and black caps are provided so that you can easily mark your battery connection as positive or negative. Forged and machined brass construction with marine-grade stannum plating. A hightemperature polycarbonate cover provides insulation and protection. Designed to split a large wire down to two smaller wires where fusing of the small&nbsp;wires is needed. The input of this block accepts wire from 1/0 to 4 AWG, while the&nbsp;two fused outputs each accept wire from 4 AWG to 8 AWG. OmniSert&trade; receptacles&nbsp;capture various size wires without the need for adaptor sleeves.&nbsp; Forged and machined brass construction with marine-grade stannum plating. 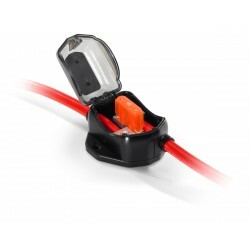 A hightemperature&nbsp;polycarbonate base and cover provide insulation and protection.&nbsp;Requires two MAXI&reg; Fuses, appropriately rated for the equipment being connected.&nbsp;Fuses can be pulled and inserted without removing the cover. Model XD-PDBU-3X Designed to split a large wire down to three smaller wires where fusing of the small wires is not needed. The input of this block accepts wire from 1/0 to 4 AWG, while the three outputs each accept wire from 4 AWG to 8 AWG. OmniSert&trade; receptacles capture various size wires without the need for adaptor sleeves. Forged and machined brass construction with marine-grade stannum plating. A hightemperature polycarbonate base and cover provide insulation and protection. 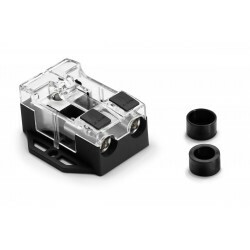 Model XB-MFBU-ANL Master ANL fuse block for 4 AWG - 1/0 AWG wire (250A maximum)This amazingly flexible master fuse block is easy to install and is designed to protect larger power wires that feed multiple amplifiers or an entire system. Each wire connection block is capable of rotating to five different wire-entry angles, giving you maximum power wire routing flexibility. This really comes in handy when working with larger power wires, which can be tricky to manage in a crowded engine or battery compartment. OmniSert&trade; captured-wire receptacles accept various size wires from 4 AWG to 1/0 AWG, without the need for adaptor sleeves. Forged and machined brass construction with marine-grade stannum plating. A high-temperature polycarbonate base and cover provide insulation and protection. 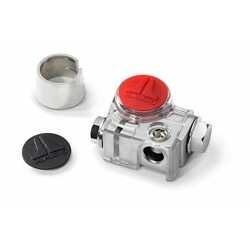 Requires one ANL blade fuse, appropriately rated for the equipment being connected. Cover must be removed (no tools required), and a flat-blade screwdriver (or large coin) must be used to pull or insert the fuse. 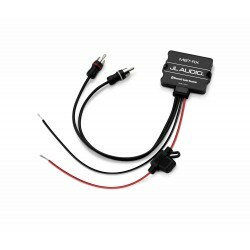 Model XD-MFBW-MAXI Water-resistant master MAXI&reg; fuse block for 8 AWG - 4 AWG wire (100A maximum) JL Audio&rsquo;s ultra-compact Maxi&reg; master fuse block is easy to install and allows you to accurately fuse your amplifier with a reliable, genuine MAXI&reg; fuse. 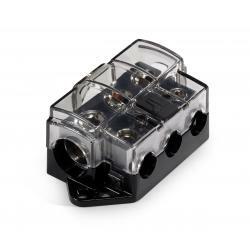 OmniSert&trade; captured-wire receptacles accept various size wires from 8 AWG to 4 AWG, without the need for adaptor sleeves. Forged and machined brass construction with marine-grade stannum plating. A high-temperature polycarbonate base and hinged cover provide insulation and protection. Requires one MAXI&reg; Fuse, appropriately rated for the equipment being connected. Fuse can be pulled and inserted without removing the cover. 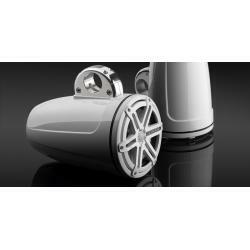 Designed for marine and powersports applications, the MBTRX streams your favorite tunes from a Bluetooth&reg; equipped (A2DP) device directly to your audio system. With an IPX6 water resistance rating, this premium wireless audio receiver is engineered to be right at home on the seas or in the back trails, plus its super tiny design can fit into just about any installation location. Use the stereo pair of RCA outputs to connect to any amplifier or source unit with line-level/ auxiliary inputs. Equipped with Bluetooth&reg; v4.0 and the aptX&reg; codec, the MBT-RX sends top-quality audio and performance from compatible devices to deliver dynamic, CD-like sound without any cables. With a wireless connection range of up to 35 ft. (11 m), you can conveniently control the connected audio without having to return to your source unit to make adjustments. Thanks to the MBT-RX Bluetooth&reg; audio receiver, taking your playlist with you has never been easier or sounded better. Model XMD-3.5MM-PNL This panel-mount jack is perfect for creating a permanent connection point for a wide variety of&nbsp;portable audio sources. 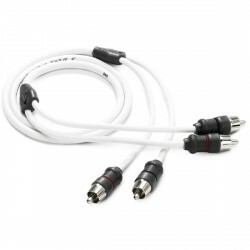 The jack accepts a 3.5 mm analog stereo plug and provides output via a&nbsp;pair of female RCA jacks. 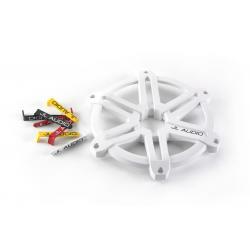 This product is designed to be mounted to any flat surface up to 1-inch&nbsp;thick. Mounting requires a 0.75-inch hole and is tightened into place with a plastic wing-nut on&nbsp;the opposite side of the mounting surface. A labeled rubber cover with a tight-fitting seal provides&nbsp;protection against the elements. Overall cable length, 20 in (0.51 m). Model XMD-USB/3.5MM-PNL This panel-mount combination jack facilitates the creation of a permanent&nbsp;connection point for a wide variety of portable audio sources, including USBcompatible&nbsp;digital music players, thumb drives and smartphones. 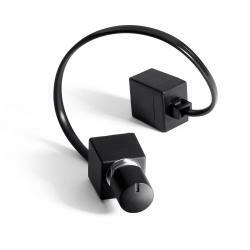 The jack&nbsp;accepts a 3.5 mm stereo plug for analogue audio signals, providing output via&nbsp;a pair of female RCA jacks. A separate 9-wire USB type A jack is provided&nbsp;for connection and charging of digital devices, outputting via a male USB type A connector (USB 2.0 and USB 3.0-compatible). An appropriate USB&nbsp;cable for your device is required to make the input connection. 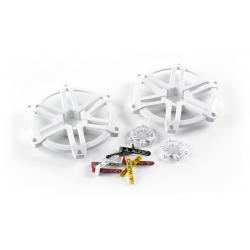 This product&nbsp;is designed to be mounted to any flat surface up to 1-inch thick. Mounting&nbsp;requires a 1.125-inch hole and is tightened into place with a plastic wing-nut&nbsp;on the opposite side of the mounting surface. 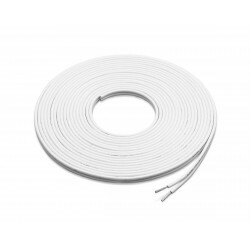 A labeled rubber cover with a&nbsp;tight-fitting seal provides protection against the elements.&nbsp;Overall cable length, 6 ft (1.83 m). Model M-RBC-1 The M-RBC-1 controls the Bass Level and features a water resistant connection cover designed for use with the following JL Audio amplifiers: MHX-Series: MHX300/1 (in Low Pass Mode) The M-RBC-1 rotary control is IPX6 water-resistant (splash-proof, not submersible) and includes a black ABS knob, mounting hardware and one 16.4 ft (5 m) cable.